Take a moment to complete a survey about Metalsmith magazine. We are looking for feedback from the field. You will have to option to be entered into a drawing for a free conference waiver to the 2018 SNAG conference! Survey closes May 19, 2017. 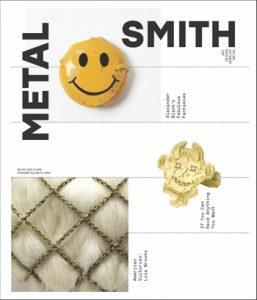 “Metalsmith” Magazine Gets Bold New Design! SNAG is excited to announce the redesign for Metalsmith magazine, the organization’s award-winning art quarterly now in its 37th year. The celebrated design firm Pentagram oversaw the new direction. 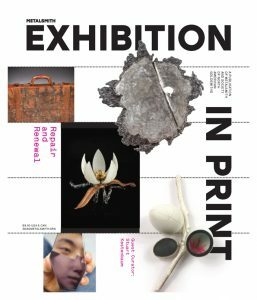 Pentagram Partner Luke Hayman and Design Associate Jenny Hung worked with Metalsmith’s Editor, Suzanne Ramljak, and Executive Director of SNAG, Gwynne Rukenbrod Smith to reimagine the magazine’s graphic identity. The cover now features multiple photos highlighting articles inside the magazine. “The new cover of Metalsmith reflects the changes in the ways we consume our media. The influx of information today is something we embraced in the redesign as a way towards being more revealing, generous and multifaceted. 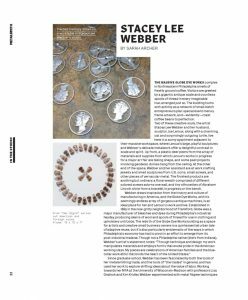 We wanted to show the variety of topics that Metalsmith covers in any single issue, and we wanted to do this in an immediate and dynamic way,” says Jenny Hung. The magazine also sports new typefaces, including a recently released font called Robinson used throughout the interior. Robinson was chosen for the redesign because, while it is a truly contemporary typeface, it also evokes the hand and is deeply rooted in the craft tradition. Metalsmith’s new dynamic design will better reflect the ever changing world of jewelry and metals, and help to snag the reader’s interest both visually and editorially.